Offering you a complete choice of products which include digital counters. 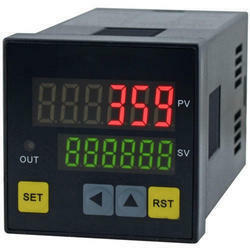 Digital Counters manufactured by us are very reliable and durable. These counters are custom built. We manufacture them as per the desire of the customer. That is why they come in different sizes. These products use power electronics and micro electronics, which are our core strength areas.